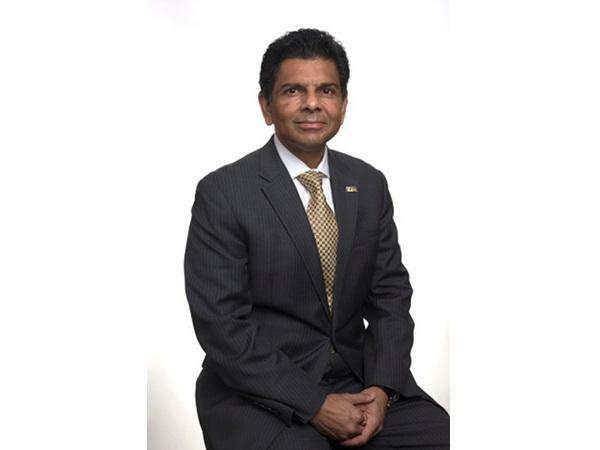 Ashish Vaidya will serve as the sixth president of Northern Kentucky University. He says he was attracted to NKU's mission. "To deliver an innovative, student centered education, to engage in impactful scholarly and creative endeavors, to empower your graduates to have fulfilling careers and meaningful lives, and to contribute to the economic, social and cultural vitality of this region and of this state," Vaidya said during remarks to the campus community Thursday. Vaidya has a bachelor's and master's degree from St. Xavier's College in Mumbai, India. He has a master's and a doctorate from the University of California, Davis. NKU Board of Regents chairman Rich Boehne says Vaidya stood out for the position because he is guided by what Boehne calls a rare combination of "head and heart." "Up here he's an economist, an academic, a skilled and entrepreneurial leader," Boehne says, pointing to his head followed by his heart. "And here he has a heartfelt passion for students who need and want what we provide to improve lives and create choices for themselves and their families and for communities." Unlike past presidential searches at NKU, this one was closed and confidential. That meant many people on campus had not met Vaidya until Thursday. In the past, there were public meetings with the finalists for the president's position. That was not the case with this search. Boehne calls this the new reality in higher education searches. "Most of these candidates have a job they like, they're well thought of, and you're trying to convince them that this is a better opportunity." A search committee made up of regents, faculty, staff, student and community members spent eight months finding a new leader. Vaidya takes over as president on July 1, 2018. Until then, Gerard St. Amand will continue serving as interim president. St. Amand has been in charge since Geoffrey Mearns left in May for the president's position at Ball State University in Indiana.